July 1979 saw a defining moment in the School’s rich history with the official opening of our first independent premises at 104 Tonbridge Road. This summer we’ll be celebrating the 40th anniversary in style with a Gala event at our Boxley House campus. 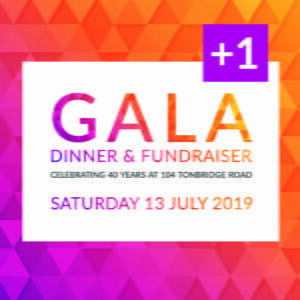 The Gala promises to be a truly memorable occasion and a great opportunity for ESO Alumni to reunite and celebrate with some familiar faces, friends and colleagues. The event is very much in keeping with our values of ‘Tradition with Vision’. We’ll begin with a drinks reception and talks from some very special guest. As well as reflecting on the achievement and influence of the ESO, in the UK and across Europe, we’ll be looking ahead to new opportunities unfolding for the profession. We’ll also be revealing some exciting plans for development of the ESO teaching clinic. An evening of dining, music and dancing, with the chance to bid on some fabulous items as part of our charity auction. All proceeds from the event will go toward development of the Clinic and Tonbridge Road site. Dress code: Evening / Black tie. For more information please contact Executive Team PA Jessica Williams on +44 (0)1622 671558 or email jessicawilliams@eso.ac.uk. If you are unable to attend but would like to support the School by making a donation, or by contributing an item for auction, then please do get in touch.